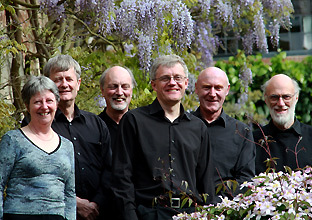 The Arden Consort was formed in the 1970s, and specialises in music for various combinations of the recorder family and lute. These instruments were very popular in Tudor and Jacobean times, and much of the repertoire of the Consort is from the 1500s and 1600s. The Consort plays music from any period over the last 450 years, although the Renaissance period is a particular favourite. All sizes of the recorder family are played (sopranino, soprano, alto, tenor, bass, great bass and contra-bass) and different types and sizes of lutes are available to suit the music and period. In 2008, the consort expanded to include a counter tenor, giving a new dimension to the repertoire. Members of the Consort also play modern instruments, including flute, oboe, clarinet, bassoon, French horn and classical guitar. This flexibility allows a wide range of programmes to be devised for different occasions.